Progressive colt Syrtis ran promisingly when runner-up to the unbeaten Slalom on his 2019 return in the extended 10-furlong G3 Prix Noailles at Longchamp, France, on Sunday, 14 April. The three-year-old son of Frankel, trained by Andre Fabre, was held up by Mickael Barzalona in sixth of the eight runners towards the outside before dropping back to seventh and then last for a brief time. Syrtis started to move up before entering the straight and then came with a good run widest of all to lead at the distance, but was swallowed up by Slalom, whose time came to 2m 10.88s on good turf, inside the final furlong, going down by two and a half lengths. He finished a length ahead of the third, Surrey Thunder. Syrtis made a winning debut over a mile at Longchamp in September (pictured) before staying on to take second behind Godolphin’s G1 Breeders’ Cup Juvenile Turf hero Line Of Duty in the nine-furlong G3 Prix du Conde at Chantilly in October. 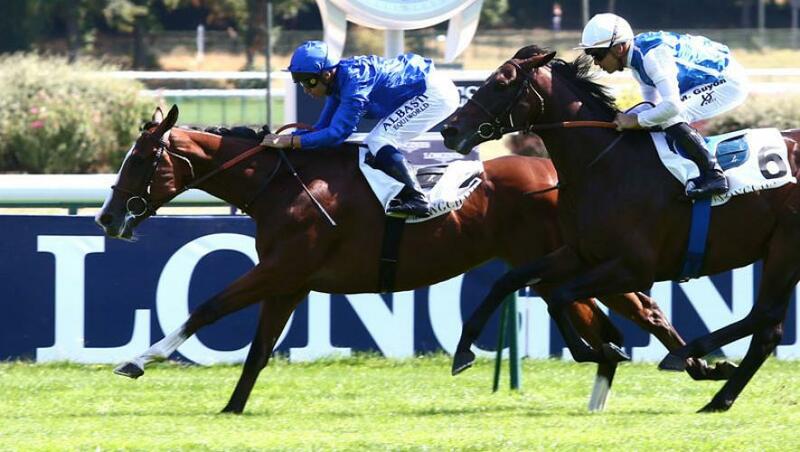 Lisa-Jane Graffard of Godolphin commented: “Syrtis ran very well – he was beaten by a horse with a better turn of foot. “We expect him to improve a lot for the run as he is a very relaxed and laid-back horse.